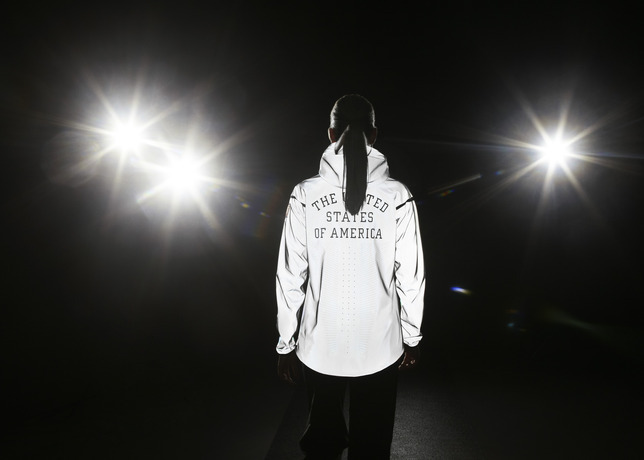 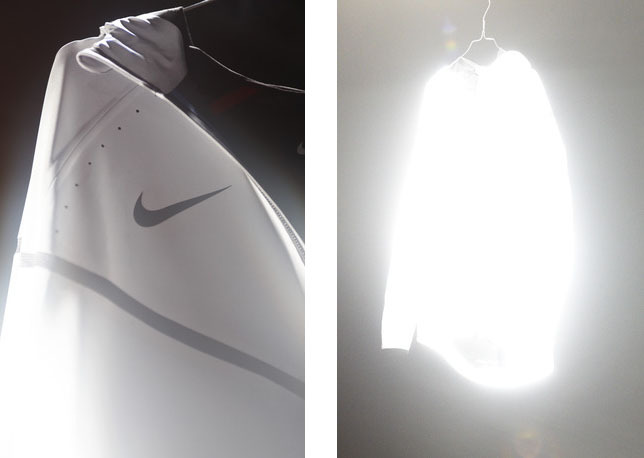 Nike 21st C. Windrunner V.
Renowned artist Marcus Gaab has worked with Nike to create this exceptionally reflective 21st C. Windrunner V. jacket to be worn on the medal stand at the upcoming London Olympics. 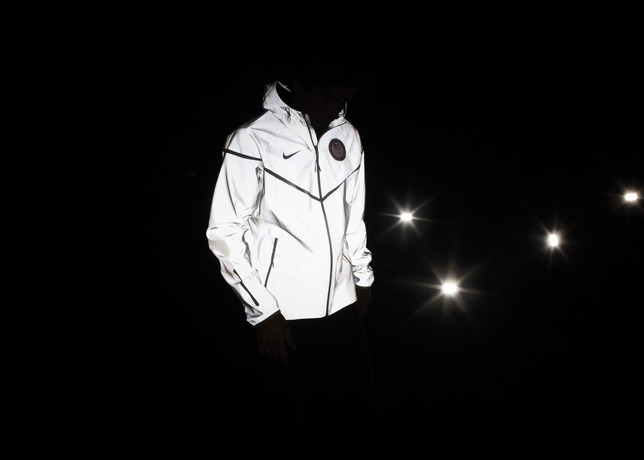 Windrunner staple features like the chest chevron are taken to a new level by a "hyper reflective shell that burns bright under the most subtle lights." 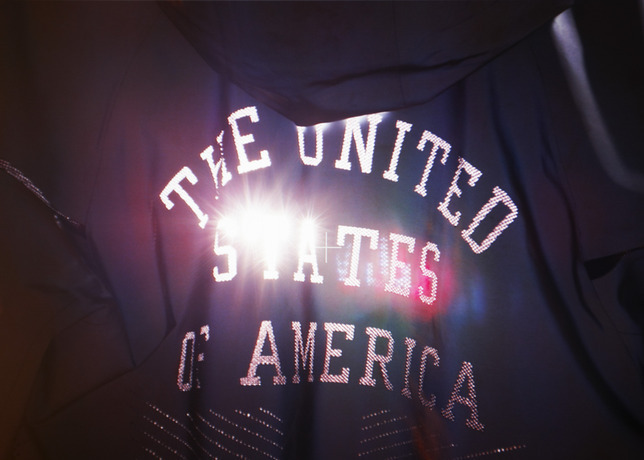 Additional features include the lasered "United States of America" application to the back of the jacket, along with 50 perforations, symbolizing each state. 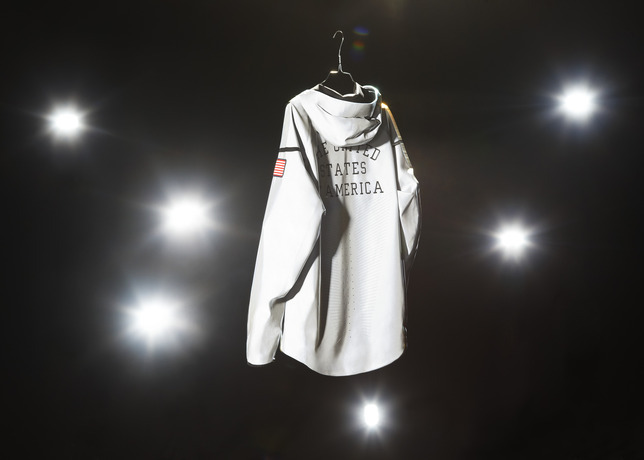 There are even hidden details, visible only to the athlete, such as "Team USA" badge placed over the heart, on the inside of the jacket. 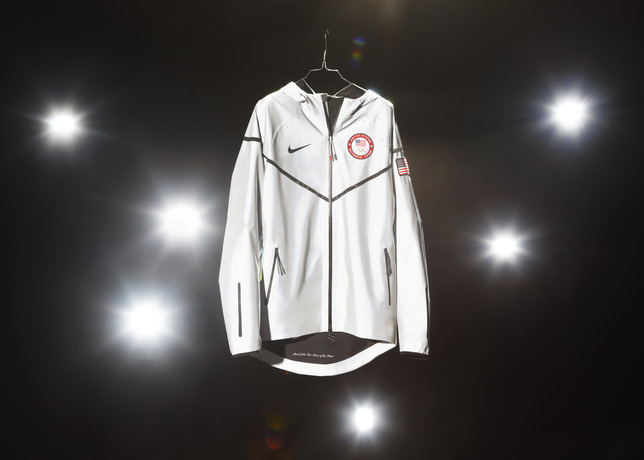 UPDATE: According to Nike, a version will be available at retail at the start of the Olympic games.